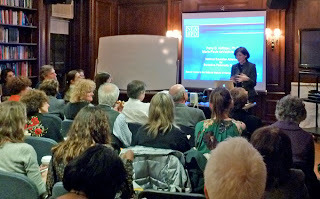 Ackerman Institute for the Family hosted a presentation by Dr. Perry Hoffman, an expert in Borderline Personality Disorder, on Friday, January 27, 2012. 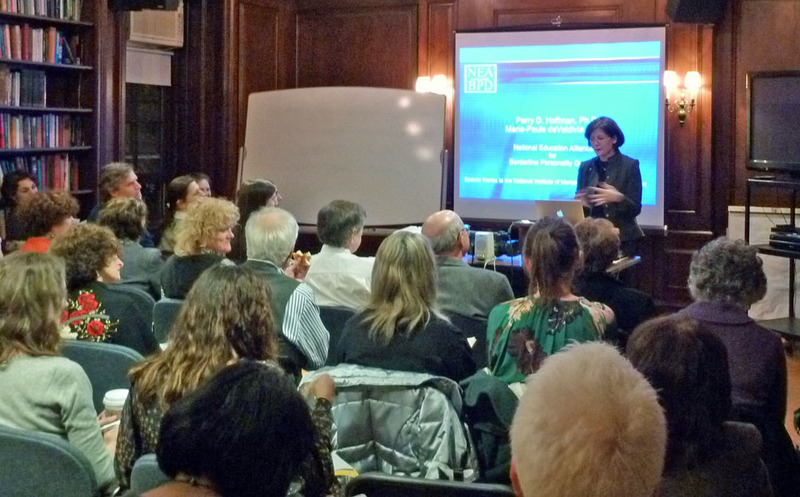 The lecture is part of the quarterly Alumni Association meetings, when Ackerman Alumni gather at the Institute to learn about the latest advances in family therapy and enjoy a presentation from therapists at the forefront of the field. During the talk, entitled “If Only We Had Known: Borderline Personality Disorder,” Dr. Hoffman discussed the current thinking on this psychological condition characterized by a pattern of instability in relationships, self-image, and emotions. The presentation familiarized the attendees with the range of Borderline Personality Disorder symptoms, along with the frequent co-occurring illnesses that can complicate recovery and treatment. Dr. Hoffman also described “Family Connections,” a psycho-educational training protocol she developed, designed for families with a relative who has been diagnosed with Borderline Personality Disorder. Dr. Perry Hoffman trained in Dialectical Behavior Therapy and is now in private practice in New York City and Westchester County. She is co-editor, with John G. Gunderson, MD, of the book Understanding and Treating Borderline Personality Disorder: A Guide for Professionals and Family Members and co-editor of Borderline Personality Disorder: Meeting the Challenges to Successful Treatment.